Pea to Pumpkin makes sweet things for moms and babies. 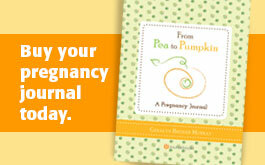 Like our pregnancy journal at Babies ‘R Us, Barnes and Noble and more. 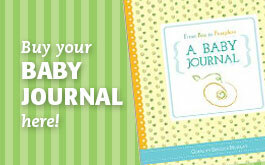 And coming in April 2015: a baby journal! A copywriter and associate creative director for over a decade, Geralyn Broder Murray has worked for advertising agencies big and small throughout California and on brands including Princess Cruises, Amtrak, Amazon, ScholarShare, PAC-12, Sutter Health, California Department of Public Health, SAFE Credit Union, Lucky Supermarkets, Goodwill and many more. Most recently, she has helmed the creative messaging behind California’s College Savings Plan, ScholarShare. Geralyn is also a blogger, a sketcher and the author of Random House’s The Light at the End of the Diaper Pail and From Pea to Pumpkin: A Pregnancy Journal, released from Sourcebooks in March 2013. She lives with her wonderful husband, two somewhat angelic children and two not-so-angelic dogs in Northern California. Geralyn can be reached at gmbroder@yahoo.com or on Twitter as @GeralynBMurray.